Hidden on the Internet, scattered among billions of Web pages, are the clues to an incredible secret. For those who know the secret, the result is untold wealth. Each month, a small group of people put their knowledge of Google AdSense to use and receive four and five-figure checks from Google. And untold numbers of additional site owners are regularly generating supplemental income via AdSense while they play, sleep and eat. A New York Times Best Seller, The AdSense Code is now revised and updated in the definitive resource that reveals proven online strategies for creating passive income with Google AdSense. The AdSense Code reveals hands-on solutions to many of the concerns and challenges faced by content publishers in their quest to attract targeted traffic, improve content relevance and increase responsiveness to AdSense ads--using easy and legitimate techniques that have worked for those who know the secrets. 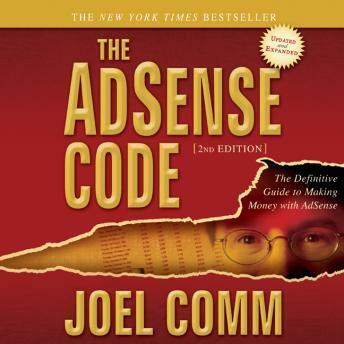 Google AdSense expert, Joel Comm, provides you with the keys you need to 'crack' The AdSense Code and unlock the secrets to making money online.